I hardly can remember my first haircut experience but I sure know where it was done. My mom has been a loyal customer of Piandre Greenhills since we were small. 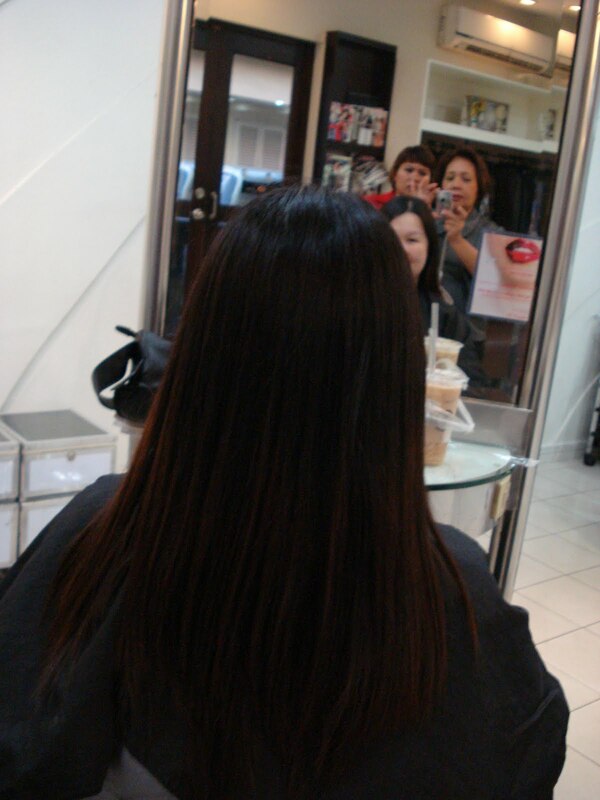 She entrusted us to her favorite stylist Nenette to create a manageable, kid-friendly hairstyle in every visit. One visit we had a bob cut while on a another we were given bangs, what I remember though was the experience. How I enjoyed having my hair shampooed as I love the scent of their shampoo and conditioner, down to the very personal service that Nenette would give us. She never treated us like clueless kids instead she always try to get our opinions on how we want our next hairstyle to be. Nenette to us was like a fairy godmother. At some point she even had successfully and magically fixed our jagged, super short bangs as an effect of our pretend salon games. Over the years, we continued to trust Piandre. It was in their Timog branch where I would frequent during my high school years. I had my favorite make up artist then who specializes in chinky eyes. At present, I frequent their San Juan branch for my annual hair cut and color treatment. Grace is my new hair stylist and for almost two years, she has never failed me. I just love to walk into the salon with no specific hairstyle in mind and I leave it up to her hands to create a masterpiece. Today, I made time to get a short trim and to fix up my hair color. It has been a year and 5 months since my last visit and I was pretty ashamed for not taking time out to pamper my hair. With our pre-nup shoot coming soon and our fast approaching BIG day, I knew I had to do something quick. It only took Grace and her assistant Mae less than two hours to update the color of my hair and to give it a healthy trim. 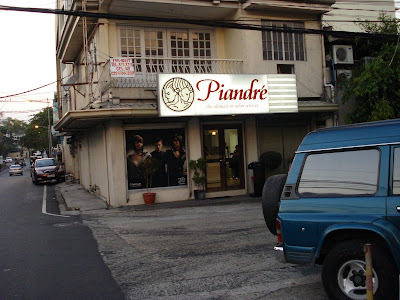 You may call Piandre San Juan at 7272196 to book your appointment. Click here for their list of branches.